Formerly known as Siam, Thailand is a Southeastern Asian country composed of 76 provinces and over 69 million people, making it the world’s 50th largest country. Thailand shares a northern border with Myanmar and Laos, to the east Laos and Cambodia, to the southGulf of Thailand and Malaysia, and to the west the Andaman Sea and the southern extremity of the Myanmar. Its capital city is Bangkok – also called Krung Thep Maha Nakhon, or just Krung Thep, in Thai. Thai is the sole official and national language of Thailand as well as the first language of central, western and eastern Thai people. Famous for its magnificent beaches, iconic temples and vibrant cities, Thailand is full of diverse and ever-changing activities. Prepare to indulge yourself in stunning scenery, colorful cuisine and fascinating history. No matter what you are seeking, Thailand has it all. Whether it’s taking a tuk tuk through the bustling cities and markets, visiting its glittering temples or sailing turquoise waters as you visit its many islands, there are many adventures to be had! Upon arrival, you will be introduced to Thailand’s capital and most populous city, Bangkok. Its rich and intricate historical culture will intrigue your mind, the hustle and bustle will entice your sense of adventure, and the world’s best international restaurants in Asia will satisfy your palate. With 11 nights to spend exploring Bangkok, Chiang Mai, and Krabi Island, you are sure to become fully immersed into Thai culture. Bangkok: Your initial experience begins here as you learn from locals on the ground the history of Thailand while visiting some of their most recognizable temples, such as The Grand Palace and Wat Arun. 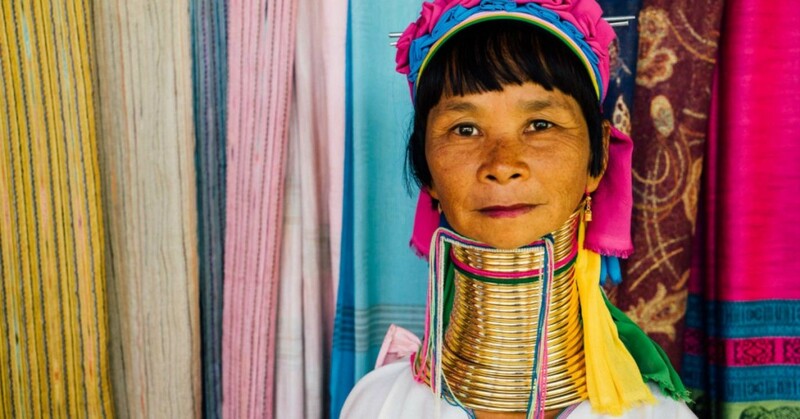 Chiang Mai: We will journey to the citywhere time has stood still, the slower pace providing the opportunity to dive deeper into the way of life of local villagers. 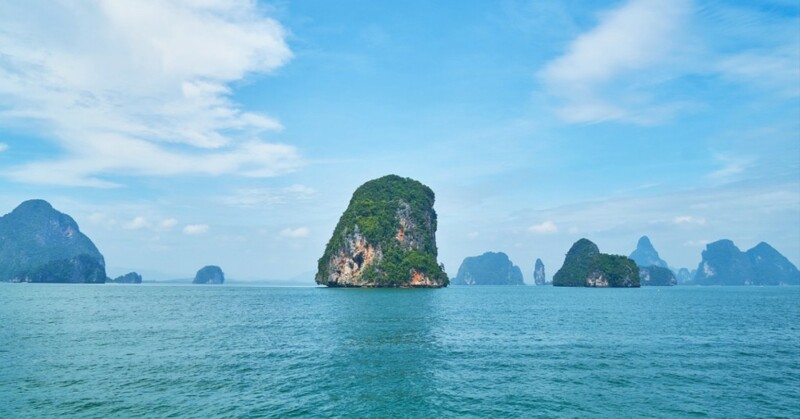 Krabi Island: The stunning scenery views (inland and at sea) and jungle covered interior is an open invitation for you to relax and unwind while island hopping and sailing the open sea. Inclusive Round Trip airport transfers from and to Suvarnabhumi International Airport (BKK) are included when you travel with BGTT. Hello stress free traveling! Arrive at Survarnabhumi Airport (BKK) where you will be welcomed by our Black Girls Travel Too Ambassador and greet your fellow travelers for 12 days and 11 nights of self-discovery and new experiences. After completing check-in to your home away from home, the afternoon is yours to recover from your long flight or hit the streets of Bangkok to immerse yourself in its vibrant culture. With a pace that is nothing short of electric, Bangkok promises a non-stop whirlwind of activity. Later that evening, join us for the Black Girls Travel Too official Meet & Greet, a delectable welcome dinner, at one of Bangkok’s premier restaurants. Grand Rising… We hope you are well rested as this will be your first full day in Bangkok. After enjoying a traditional Thai breakfast together, we will take on the busy streets of Bangkok with our local Thai guide who will help us navigate through the city’s wonders. Enjoy a day of exploration and discovery as we marvel upon the architectural beauty of some of the more popular wats (or temples) in Bangkok. Remember to remove your shoes before entering! Feel a sense of overwhelming calmness as you take a moment of reflection while viewing the unique blend of Thai and Hindu traditions on display. After our time witnessing the splendor of the temples, we will head to the nearby markets where you can find just about anything you could wish for. Browse the many shops and stalls to find deals on souvenirs, vintage clothing and even a wide variety of t-shirts with humorous English phrases! You can also discover new dishes to try at one of the renowned street food vendors. 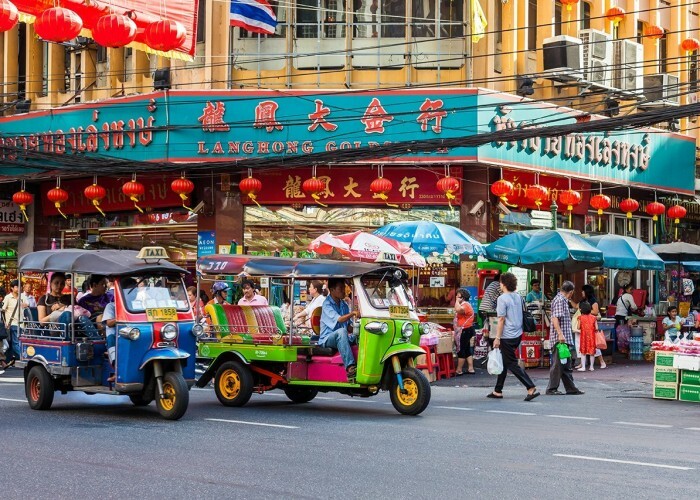 With its wide variety of offerings, Bangkok’s markets provide sensory experience you won’t find anywhere else in the city. After our tour, the remainder of the day is yours to lose yourself in the frenzy that is Bangkok. Take a stroll through the shopping malls, visit one of museums, then treat yourself for a day well spent by enjoying the stunning views of the city at one of Bangkok’s many rooftop bars. It’s our second official day, and we’re guessing the jet-lag is creeping in. Don’t worry, today we’re heading on a little 1 ½ hour bus ride outside Bangkok. We are sure the temptation of getting a little shut eye in there some where will eventually sneak in, and we will not stop you from taking advantage. Colorful and busy markets provide the backdrop for this distinctive experience as we bare witness to the efficiency of Thai culture. We will check out the floating markets where canals are jammed packed with boats selling numerous foods and goods. If that experience isn’t surreal enough for you, we are sure you will be amazed by those who choose to sell their wares on an active train track! Be listening for the train’s horn and prepare to be amazed at how the vendors seamlessly act by removing their items from the tracks or moving back their awnings as far as necessary, leaving only about a foot of room to spare for the train to move through. It’s a little too close for comfort for most, but it works for them! Both of these fascinating markets are sure to provide a visual treat. After our tour, the remainder of the day is yours. It’s an early morning for us, but with good reason… We’re heading to Chiang Mai!!! If you thought Bangkok was an experience, wait until we touchdown in the land of misty mountains and multi-colored hill tribe villages. With its unexpected waterfalls, babbling brooks and ancient temples, Chiang Mai is definitely a must visit! We will head back to the airport for a regional flight to Chiang Mai, our new home away from home for the next 4 days. Five-star accommodations await us after we have landed. Once checked in, feel free to relax or headout for some retail therapy at one of the nearby markets before our Chiang Mai welcome dinner and the Loy Krathong Festival, also known as the Thai Festival of Lights. Held every full moon of the 12th lunar month, this visual extravaganza is one of Thailand’s biggest annual festivals. 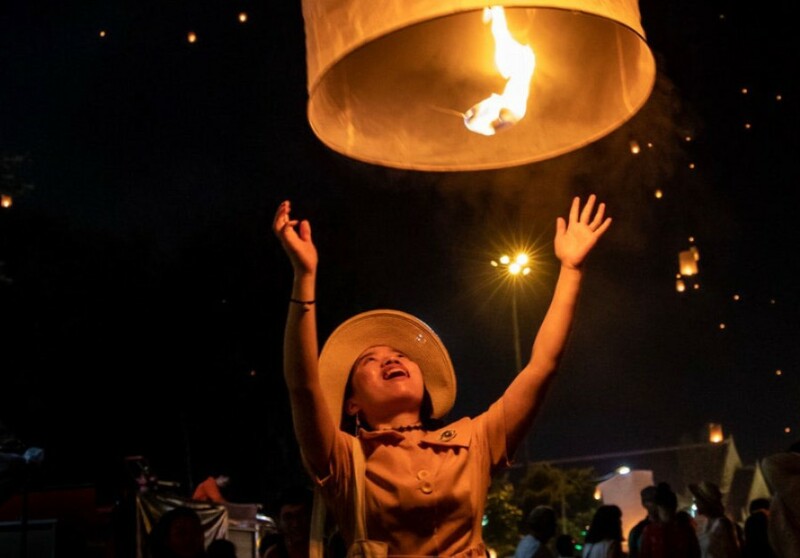 Paper lanterns fill the sky while lighted candles called Krathong float across the waters as offerings to the Goddess of Water, providing a mesmerizing effect you will never forget. You can join in by giving your own offering, you will be provided a Krathong made from biodegradable materials. There is no better way to start a perfect day than with breakfast as we share some of our favorite memories thus far. After breakfast, we join our local tour guide for an authentic Thai experience as we experience the way of life for those of the Hill Tribe Villages. Nestled in a lush countryside, these villagers often still reside in traditional stilt bamboo houses. After cooking a traditional lunch together in the village, we will head out on a short trek to visit farmland and learn about how villagers farm and live with nature. While we browse village handicrafts, make sure to take some time to speak with some of the people. While each tribe has their own unique history and culture, they are all known for their friendliness. After our tour, the remainder of the day is yours to do as you wish. By bus we are escorted to an elephant sanctuary, an elephant rescue and rehabilitation center. These gentle giants have been retired from their lives as entertainers and now roam free in an environment that fosters healing and their well being. We will assist in the healing process by learning about the present and past lives of the elephants and why it is important to exercise responsible tourism, including never riding an elephant as entertainment. Spend some time watching them bathe in the nearby river or get even more involved by feeding them. Then enjoy a short walk with the elephants through the dense jungle before we depart. Don’t forget to take a selfie with one of our new elephant friends! After a delicious breakfast, we will head over to a local women and children’s shelter for young single women who are either with child, or have very young children, and come from crisis situations such as pregnancy out of wedlock, domestic abuse, and severe poverty. Here we will spend our time learning about the struggles faced by these women and children as well as the effort to assist them. But it doesn’t stop there as we will be able to join their efforts by assisting with teaching simple English phrases to the mothers, working alongside them in the garden or simply joining the children in a Thai game or two. This promises to be a genuinely rewarding experience you will never forget. After our day of volunteering, the remainder of the day is yours to do as you wish. 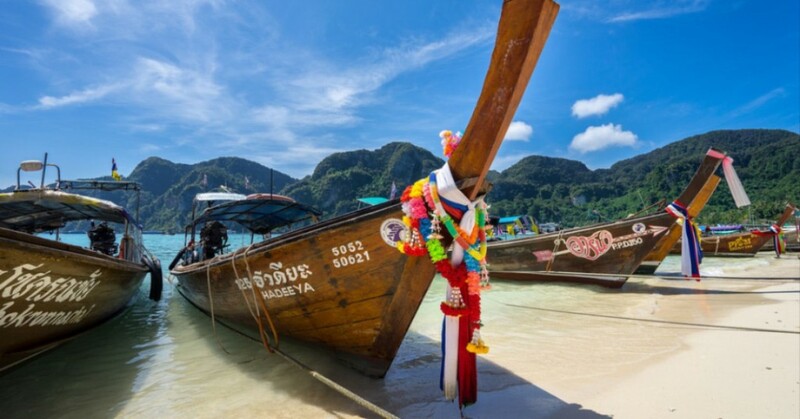 Rise and shine… and onto the next one, Krabi Island. We will head to Chiang Mai International Airport for a short flight to Krabi Island. Located between Phang Nga and Trang, it is the perfect place to spend some down time and enjoy exotic scenery. Upon arrival, our shuttle service awaits to transport us to our five-star accommodations. Once checked in, the remainder of the day is yours to do as you wish. Take a stroll on one of the picturesque white-sand beaches while taking in the gorgeous turquoise waters or head into the laid back Krabi Town to check out the market. After breakfast, we hop aboard a catamaran and sail the day away basking in the sun on the beautiful seas. You will feel like you have escaped from it all, floating down the waters while gazing upon 360 degrees views of the beauty the islands have to offer. Relax as you indulge in local cuisine that will be sure to satisfy your taste buds. Bring out your camera to capture each moment, allowing you to look back and regain the sense of wanderlust you will be sure to feel during this experience! After our time at sea, the remainder of the day is yours to do as you wish. Today we embark on a true culinary experience as we each learn how to prepare an authentic Thai meal under the tutelage of a professional Chef and Master of Thai cuisine. What better way to learn how to cook local food than from a local? In this hands-on experience, you will be taught how to capture the taste of Thailand, balancing salty, sweet, hot and sour flavors together that you can recreate in the comfort of your own kitchen. Imagine the kudos you will get after showing off your newly found skills in making a variety of Thai dishes, from curries to paid thai to stir fry! Make sure to bring your appetite as we will be feasting on our creations at the end of our course. After a day of developing our skills of preparing Thai cuisine, the remainder of the day is yours to do as you wish. Rise and shine as we prepare to head back to where it all began, Bangkok. After a short flight from Krabi International Airport to Bangkok, our shuttle service awaits to transport us to our accommodations. Once you’ve checked in, you are free to relax in your room or do some last minute shopping from some of the biggest and best markets in the world. Later that evening, we will convene for our last night together over a traditional Thai dinner while sailing the Chao Phraya River, or “River of Kings”. Once used by monarchs to gain access to more distant areas of the kingdom, it is now Thailand’s premiere lifestyle location. Experience the sights and sounds that line the shores of what has long been considered the life blood of the Thai Kingdom. Enjoy drinks and fine Thai cuisine aboard a beautifully restored rice barge. Relax in luxury as you admire landmarks such as the Temple of Dawn and the shimmering Grand Palace. Cuisine and culture combine as we cruise along the illuminated banks of the Chao Phraya River, making this a uniquely unforgettable experience you will not want to miss! You Came. You Saw. We Conquered. Farewell for now and we wish you safe travels back home. We look forward to seeing you again, somewhere around the world. No. U.S. citizen tourists entering Thailand for fewer than 30 days do not require a visa. A valid passport is required and it is recommend that your passport be valid for at least six months beyond the date of your entry into Thailand to ease entry. You should purchase your airfare as soon as you receive your Thailand confirmation email. The arrival and departure airport is Suvarnabhumi Airport (BKK). How will I commute from Suvarnabhumi Airport airport to my accommodations? We provide complimentary roundtrip airport transfers in Thailand. You’ll stay 4 nights in Bangkok , 4 nights in Chiang Mai, 3 nights in Krabi, all 5 star accommodations. Of course! Our private room charge is an additional cost and subject to availability. To request a private room, email support@blackgirlstraveltoo.com. Due to the intimate size of this group trip, preparation, and vendor contract, there will be No Refunds issued for the Black Girls Travel Too Thailand Experience Tour. By purchasing this package, you acknowledge and agree to our No Refund policy. However, by purchasing trip cancellation coverage you forgo the unnecessary worries around what happens if an emergency occurs and you can’t make your trip. www.travelguard.com is one of many providers that offer a variety of coverage, including The Cancel For Any Reason (CFAR) option provided that you cancel your trip more than 48 hours prior to your departure, you’re eligible for a full refund. (other insurance companies that offer travel insurance in Thailand. www.globaltravel.com, www.insuremytrip.com, www.quotetravelinsurance.com, and www.worldnomads.com). Travel insurance with the option for trip cancellation is required to attend this Thailand trip. There will be no exceptions. Black Girls Travel Too will verify that each traveler has said insurance (Travel Insurance with Trip Cancellation) prior to departure. There will be no exceptions. Do I need to know any Thai languages to attend this trip? Not at all! We will have a bilingual tour guide. However, to know a few words would not be a bad thing. In fact, it may increase your experience in Thailand and make it more rewarding if you are able to speak some of the native language with the locals. How do I learn about the unique culture and customs of Thailand? Guidebooks for Thailand such as Lonely Planet, can provide some very good summaries about the country’s history and culture which will enhance your experience of your trip.